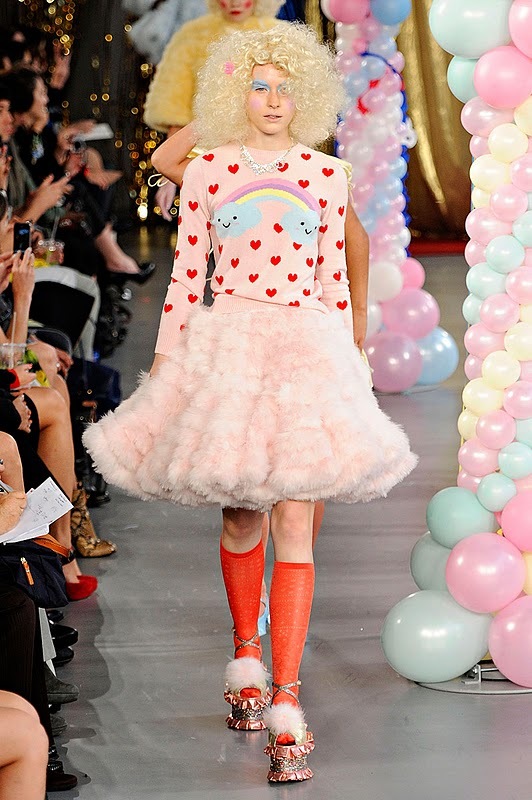 Aren't these out-fits from Meadham Kirchhoff spring 2012 just fabulous? 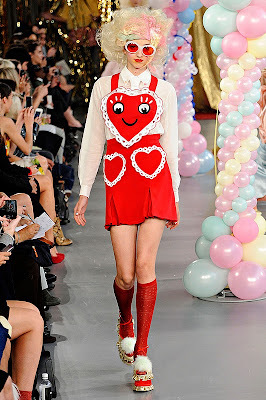 I especially love the red pinafore ensemble and also the lovely pom pom shiny shoes. 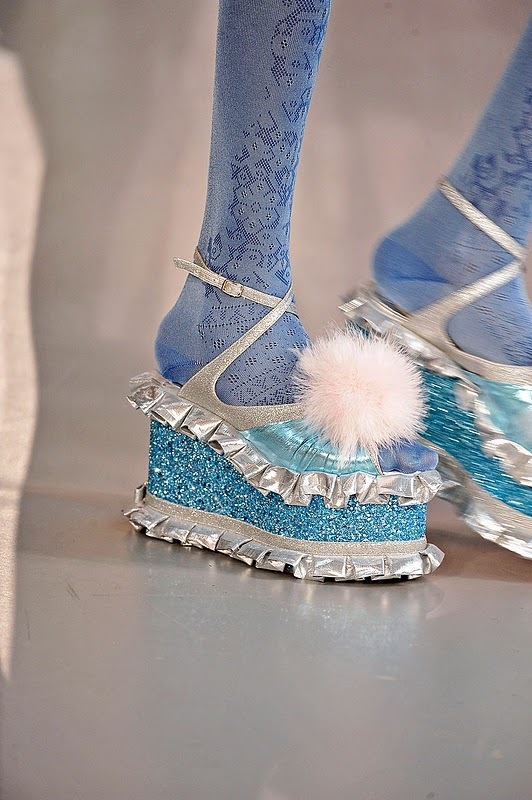 I can't see it catching on down my way, which is a shame as I could quite fancy myself parading down the main street in one of these creations. Not sure what the kids would think.